The Plant Performance segment of Curtiss-Wright is the industry leader in the supply of complete turnkey plant montoring and plant processing computer systems, having supplied systems and products to all of the nation's nuclear utilities and to many non-nuclear power plants. Over the last 20 years, we have delivered more than 35 plant process and related large computer systems to nuclear utilities throughout the United States and 300+ thermal performance monitoring systems to nuclear, coal, and gas fired utilities around the world. FAMOS is an integrated suite of products for monitoring, analyzing, and optimizing plant performance; monitoring and detecting problems; and accessing vast plant data anchoring your operation. 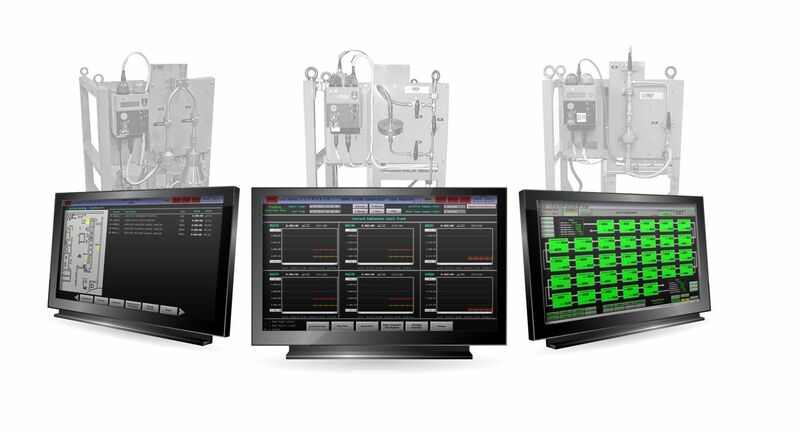 These integrated applications provide an in-depth approach to plant performance and condition monitoring and optimization. StressWave analysis technology is a state-of-the-art instrumentation technique for measuring friction, shock, and energy shifts in rotating machinery, valves, transformers and a host of other mechanical devices. R*TIME software is a real-time data acquisition, display, and man-machine interface and control system software program. It presents real time information in a manner that is meaningful, easily accessible and tremendously beneficial. R*TIME provides easy access to menus and displays of real time and historical data through defined icon buttons and pull down menus. The system provides the user with the ability to construct and use color graphic displays with trends (time, x-y and bar), alarms, logs, message files, and many other tools. Data points, displays and trends are fast and simple.